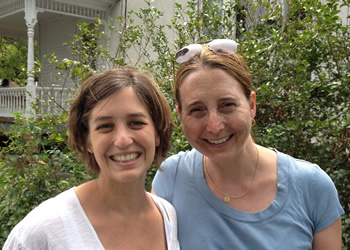 Global Health faculty leaders: (left) Julia Den Hartog, MD, director of the Global Health Leadership Track, and (right) Rebecca Dillingham, MD, director of UVA’s Center for Global Health. Our Global Health Curriculum is a competitive specialized training track. Initially a joint collaboration between the departments of Internal Medicine and Family Medicine, it is now a multi-disciplinary track that includes residency programs from across the UVA Health System. Residents have opportunities for international research and clinical electives in cooperation with the UVA Center for Global Health. Our most active elective sites are in Guatemala, Uganda and South Africa. During the clinical electives, residents learn about diseases relevant to the local population, experience a different healthcare system, and discover a new culture in a safe, appropriately supervised environment. Residents contribute to the academic learning environment at partner sites by attending and leading teaching conferences; upon their return, they are expected to give a presentation about their experience to the UVA Department of Medicine. Residents apply for positions during the intern year. Currently 2 to 4 internal medicine residents are accepted annually. The local didactic curriculum extends through the PGY-2 and PGY-3 years. Residents from many departments come together for discussions in monthly journal clubs or attend dinners with invited speakers. Two-week, intensive courses are offered each January. The first of these is on global health policy and practice and the second is infectious disease focused, examining diseases of burden in low and middle-income countries. Residents also have the opportunity to work in a Travelers ID clinic and the International Family Medicine Clinic, which serves refugees brought to the U.S. by the Charlottesville chapter of the International Rescue Committee. One of the reasons I chose to train at UVA was the opportunity to participate in the Global Health Leadership Track (GHLT) and experience international health during residency. The track provides classes on tropical medicine and global health policy, as well as allowing two months abroad during residency. The ability to go abroad twice during residency provides the opportunity for longitudinal relationships for research, teaching, and clinical work. I spent my time in Mbarara, Uganda at a regional hospital. I spent the majority of my time doing rounds on the clinical wards in the hospital. 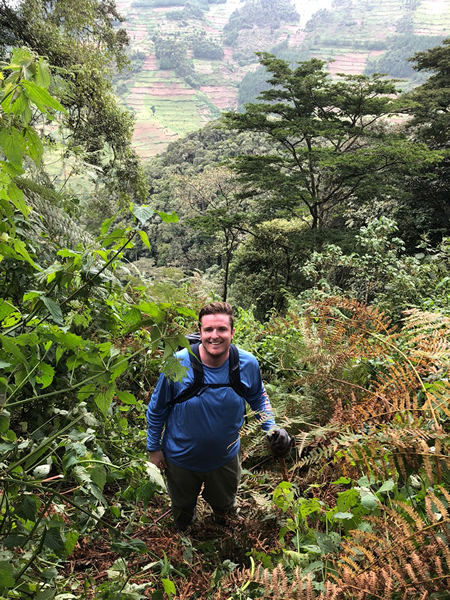 This experience allowed me to learn about the practice of medicine in a lower-resource environment that focuses more on physical exam and cost-conscious medicine. It also allowed me to see different disease processes that are not as common in the U.S. I had the opportunity to teach Ugandan medical students on clinical rounds as well as in classroom experiences. The GHLT has taught me to be a better physician, in addition to providing the chance to travel and experience medicine in a different culture during residency. The Global Health Leadership Track provides a wonderful opportunity to learn about global health and experience the care of international populations. 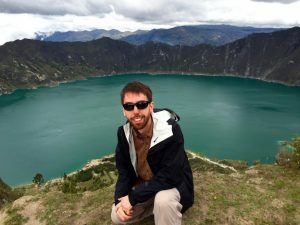 Following a two week primer in tropical medicine, I spent 3.5 weeks in Ecuador. 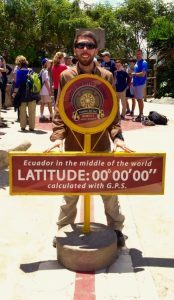 With the assistance of the GHLT, I customized my trip to include language school in Quito, clinical research in Quinindé, and a medical rotation at a hospital in Santo Domingo. Through this unique trip, I was able to gain valuable language skills, learn about the care of vulnerable populations, and practice medicine in a resource limited setting. The tools that I gained during my experience served a valuable role during my time at UVA and now as I pursue my career in primary care. The Global Health Leadership Track is an amazing opportunity to work abroad, learn from seasoned mentors, and gain experience in research. By having a dedicated month abroad during both the second and third year of training, residents are able to develop relationships in their overseas practice site and develop projects based on an assessment of community needs. My time in Thohoyandou, South Africa, has given me a completely unique perspective and shaped my future goals as a physician. Like many countries, South Africa has a shortage of physicians and nurses. Because of this, they rely on community healthcare workers to identify patients who need to be seen in clinic. Working with local department of health officials, we are comparing clinic appointment and medication adherence in those who see community healthcare workers versus those who do not. These data will help determine funding provided by the government. The project allowed me to integrate my residency training with clinical research, healthcare policy, and international experience. The GHLT, with its combination of mentored research, training in healthcare policy, and experience in international health, helped shape my career goals and fostered significant personal growth. It included two-week interdisciplinary courses that covered topics in global health policy and parasitology/tropical medicine, interesting journal clubs, and two months abroad (one month each during PGY2 and PGY3) to focus on clinical work and research. I had the privilege to work at the International Center for Diarrheal Disease Research, Bangladesh (“ICDDR,B”), in Dhaka, Bangladesh. I spent my clinical time rounding with local physicians and residents in the HIV ward and in the medical ICU. This experience opened my eyes to the struggles of practicing medicine in resource-limited settings, as well as highlighting local health disparities. My research was conducted in a parasitology lab, where I evaluated a new point-of-care test for the detection of cryptosporidium. When not on the wards or in the lab, I was able to visit a few ICDDR,B-affiliated clinics in rural slums outside of Dhaka. While some patients were evaluated and treated in clinics, most routine medical care was provided in their homes by community healthcare workers. This was an incredible opportunity, as I was welcomed into many families’ homes, learning first-hand about their daily lives, culture and customs. The experiences I gained from the GHLT were instrumental in my decision to pursue a fellowship in infectious diseases.